A beautiful cake of Pittsburgh. Notice the crystalline sugar “water” emerging from the fountain and the Heinz History Center with its Heinz Ketchup bottle in the background. 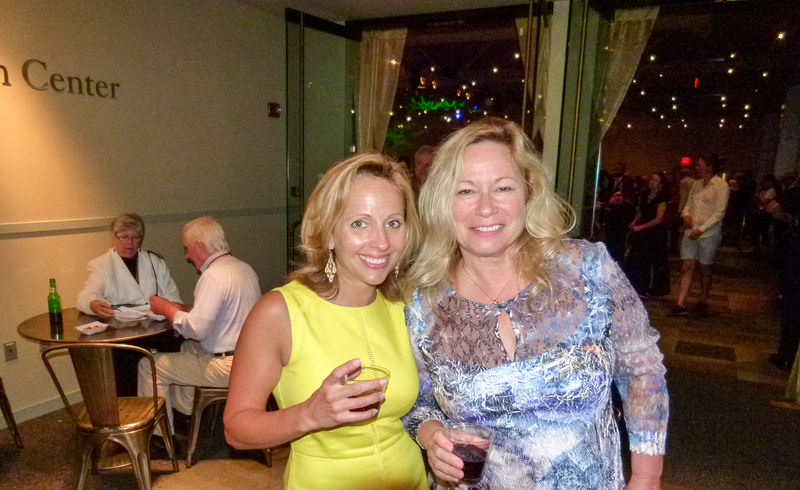 Pittsburgh’s Bicentennial Birthday Bash was held Friday night at the Heinz History Center to commemorate Pittsburgh gaining city status 200 years ago in 1816. Honorary chair Mayor William Peduto and Andrew Masich, President and CEO of the History Center and Chair of the Pittsburgh Bicentennial Commission hosted the fun affair. Bella Christies and Lil Z’s Sweet Boutique created an amazing birthday cake of the city with Downtown skyscrapers sprouting from it plus rivers of blue cupcakes. 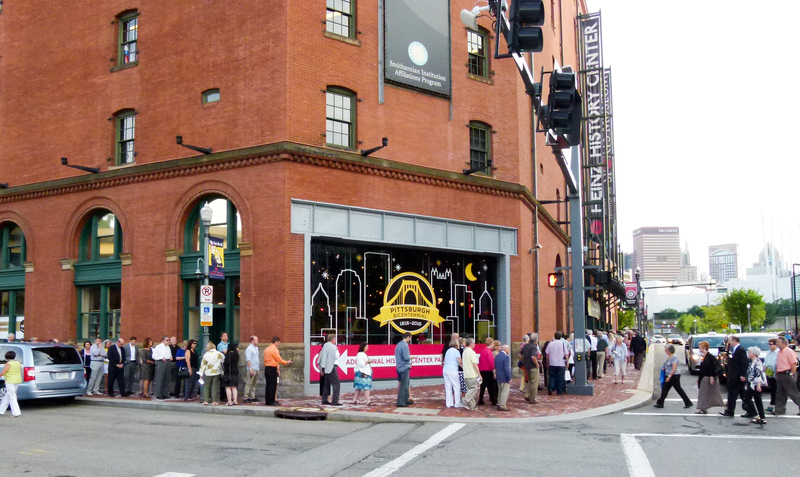 The unveiling of the new exhibit Pittsburgh: A Tradition of Innovation chronicling Pittsburgh’s historical, industrial, and cultural rise was another highlight of the evening. And what’s a celebration without some tasty food and great music? 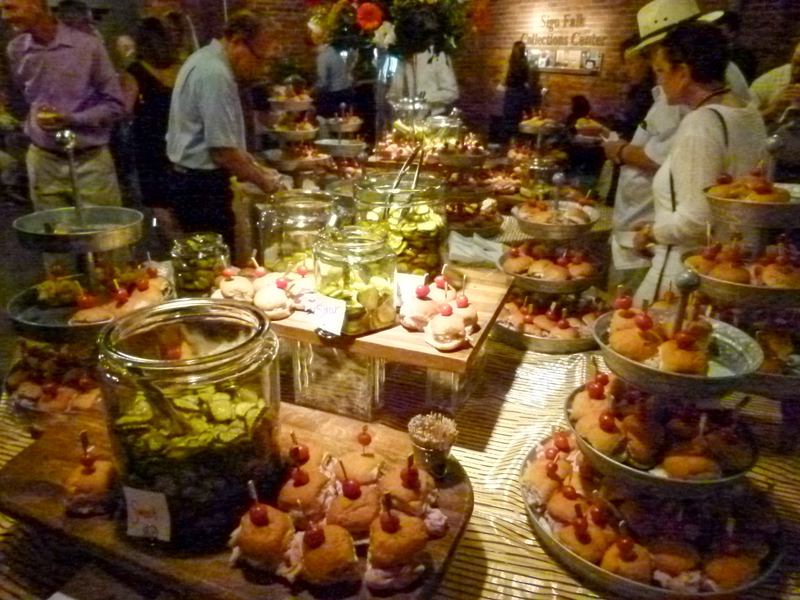 A fun buffet of Pittsburgh favorites including Italian sausage sliders, pierogies, pasta, and of course chipped ham sandwiches and pickles rounded out the offerings, prepared by the talented chefs of Common Plea Catering. The music offerings were just as scintillating. 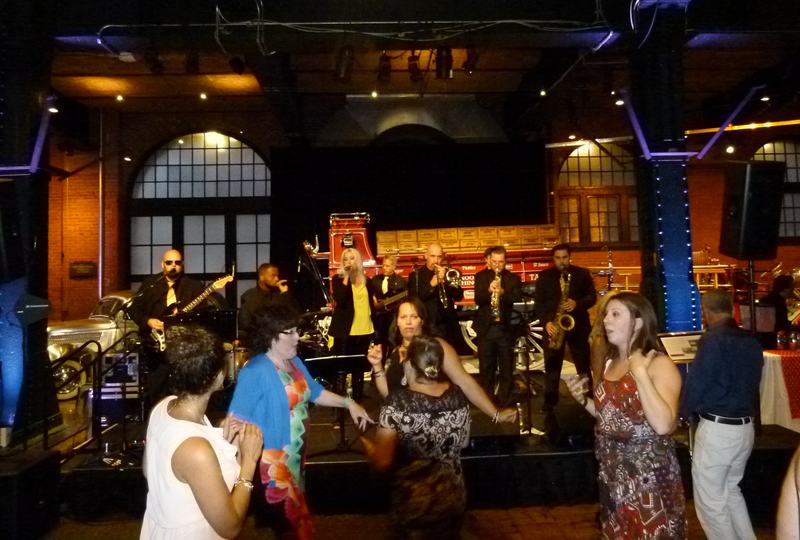 The Move Makers Band greeted the attendees with a fine dance funk groove on the first floor. Noted jazz singer Etta Cox performed with her trio in front of a facade of the legendary Hill District jazz club—The Crawford Grill—on the second floor. The fifth floor was the location for two of Pittsburgh’s top musical virtuosos: Billy Price, one of the region’s best blues singers; and Joe Grushecky, the “Joe Magarac” of Pittsburgh rock. 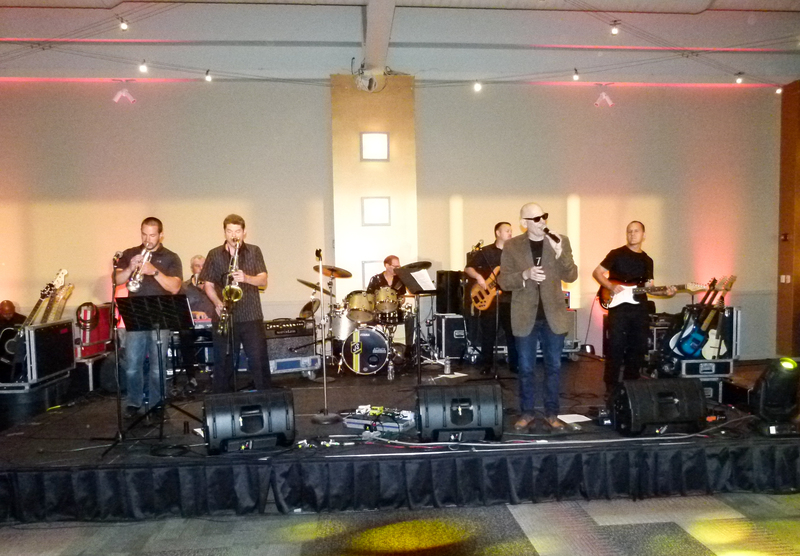 Each performed with their groups—The Billy Price Band, and The Houserockers, respectively. 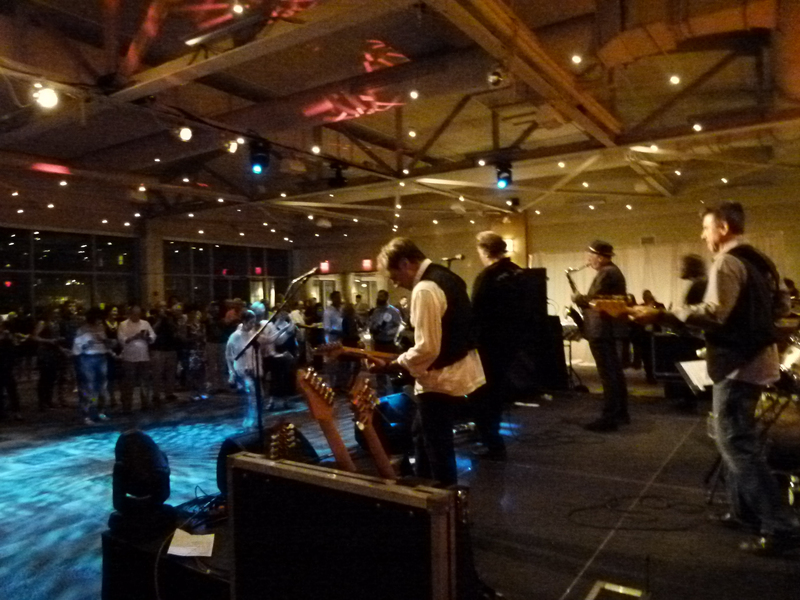 People danced to all the great musical performances throughout the night. Another interesting aspect of the bash and following day parade was that Mayor Peduto made it a priority for the bicentennial that descendants of Pittsburgh’s Mayors be found and invited to the festivities. Judy O’Connor (wife of the late Mayor Bob O’Connor) attended with daughter Heidy O’Connor Garth. Councilman Corey O’Connor was there with wife Katie as well. Former Mayor Tom Murphy and his wife Mona were at the celebration. 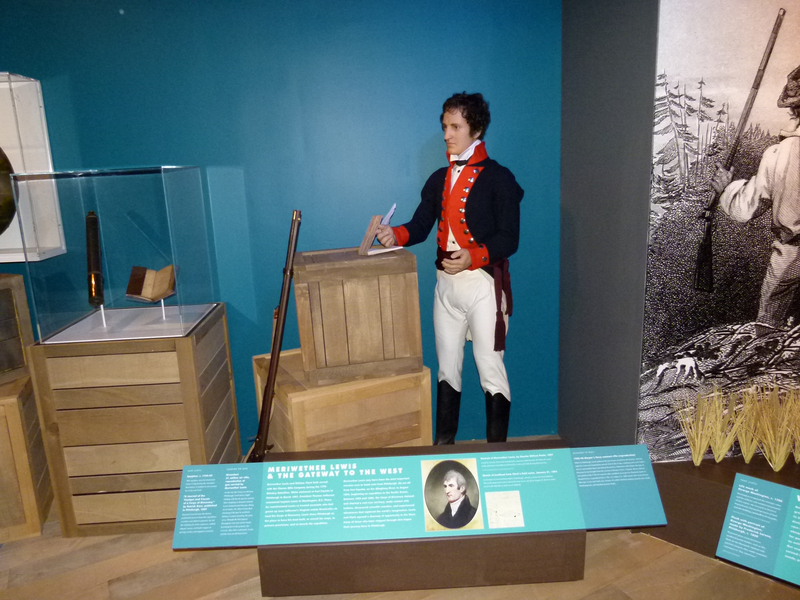 While taking the elevator from floor five to one, a descendant of Pittsburgh’s first Mayor and Revolutionary War standout Ebenezer Denny could be overheard talking to a family member of another Pittsburgh mayor. Other elected officials seen at the event included: County Executive Rich Fitzgerald; Councilwoman Deb Gross; and State Senator Jay Costa. The line to get into the Bicentennial Birthday Bash started well before the 7 p.m. opening time and went along the front and side of the building. 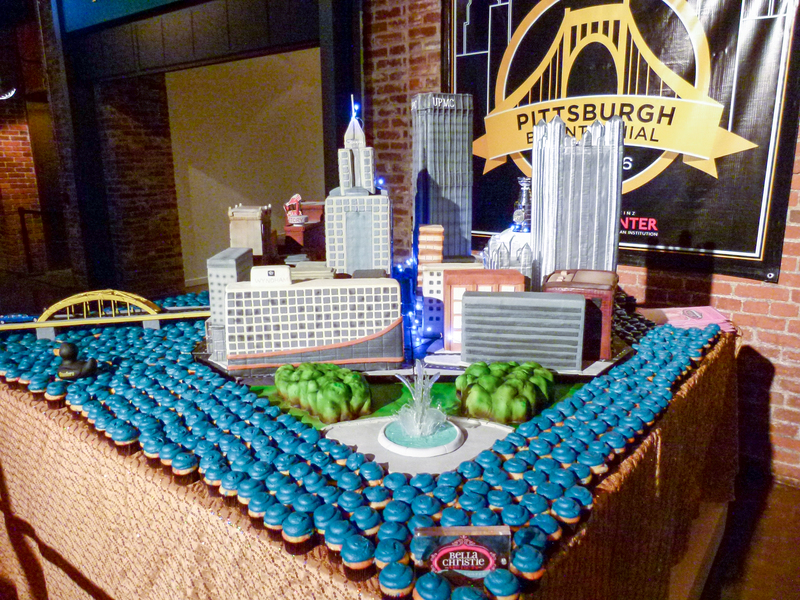 A beautiful cake of Pittsburgh. Notice the crystalline sugar "water" emerging from the fountain and the Heinz History Center with its Heinz Ketchup bottle in the background. The Move Makers band causing people to... well, move. Pittsburgh food favorites all neatly lined up and ready to be consumed. 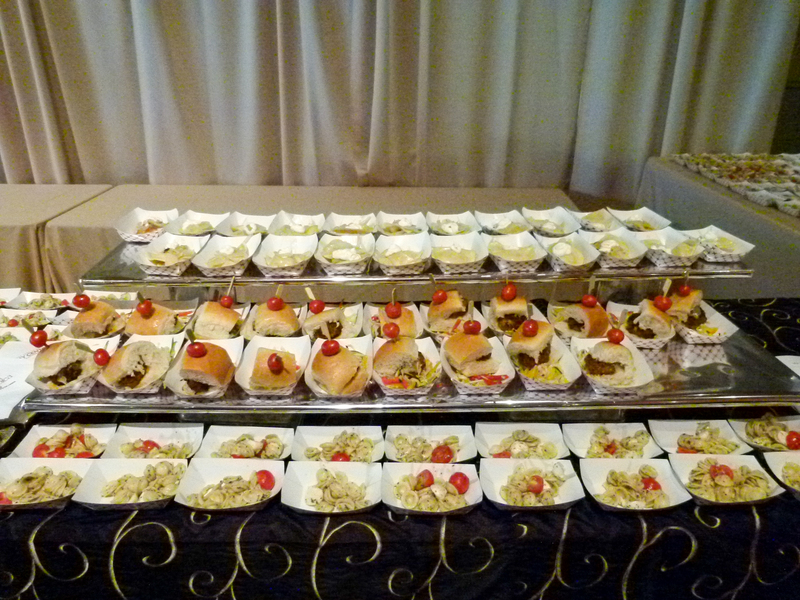 Pierogies (back), Italian sausage sliders (middle), and pasta (front). 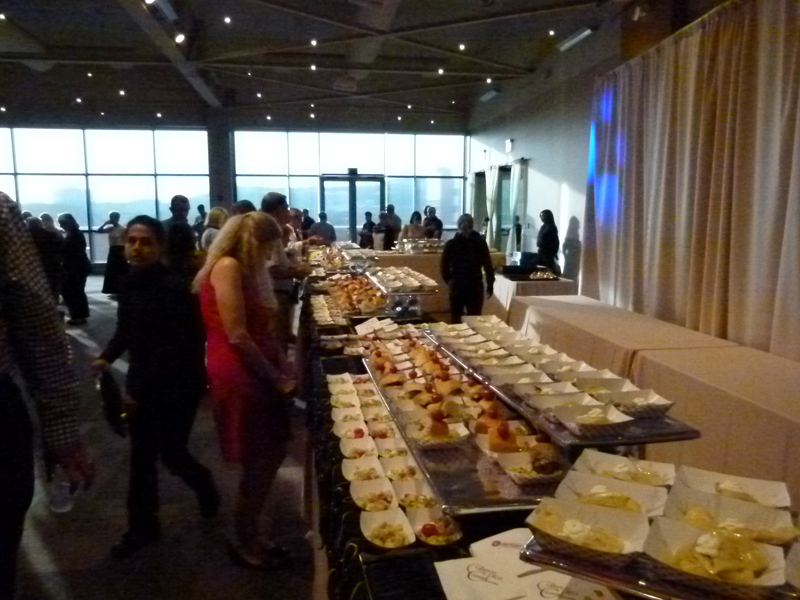 The buffet ran almost the entire length of the room. 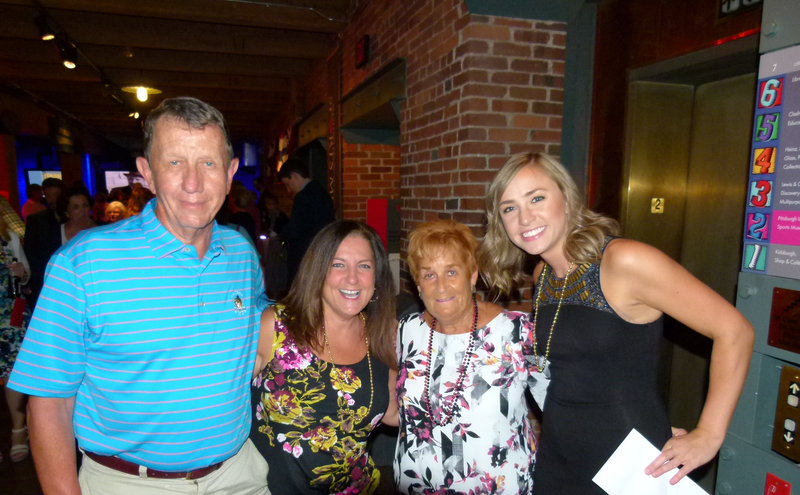 Judy O'Connor (center right), wife of the late Pittsburgh Mayor Bob O'Connor, flanked on the left by daughter Heidy O'Connor Garth, and Bob Jablonowski; and on the right by daughter in law Katie O'Connor (Councilman Corey O'Connor's wife). Two friends enjoying the celebration while former Mayor Tom Murphy and wife Mona enjoy some Pittsburgh food at a table. It's good to remember that the first residents of the region were Native Americans (many of whom still reside here). 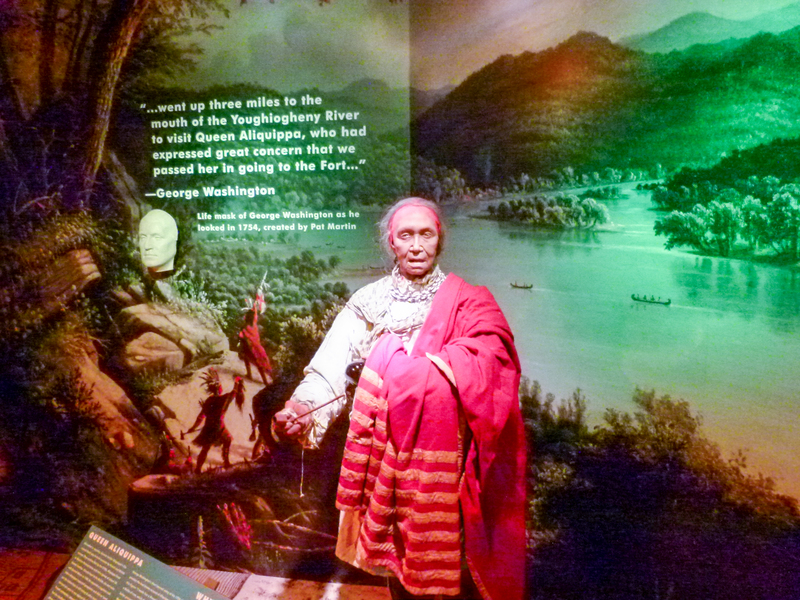 Seen here is the figure of Queen Aliquippa and a life mask of George Washington as he looked in 1754. 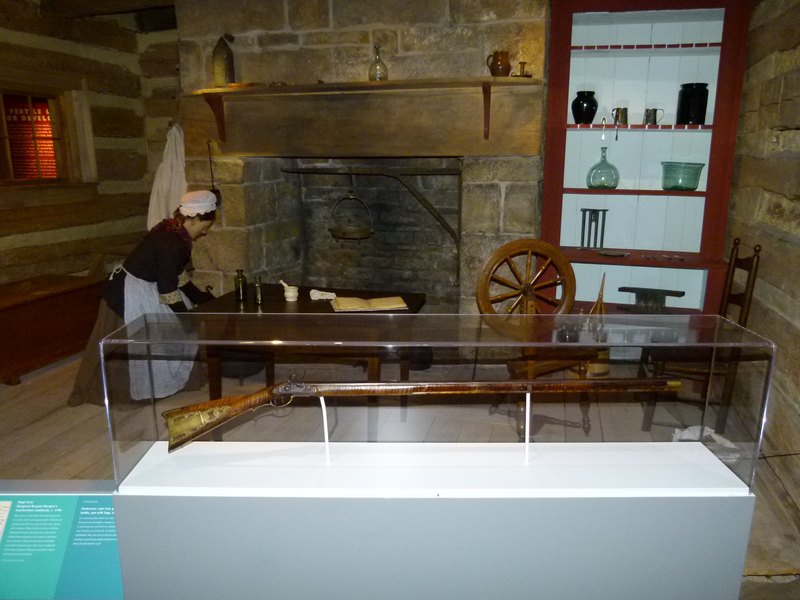 An early American home interior with a hearth, spinning wheel, and long gun. 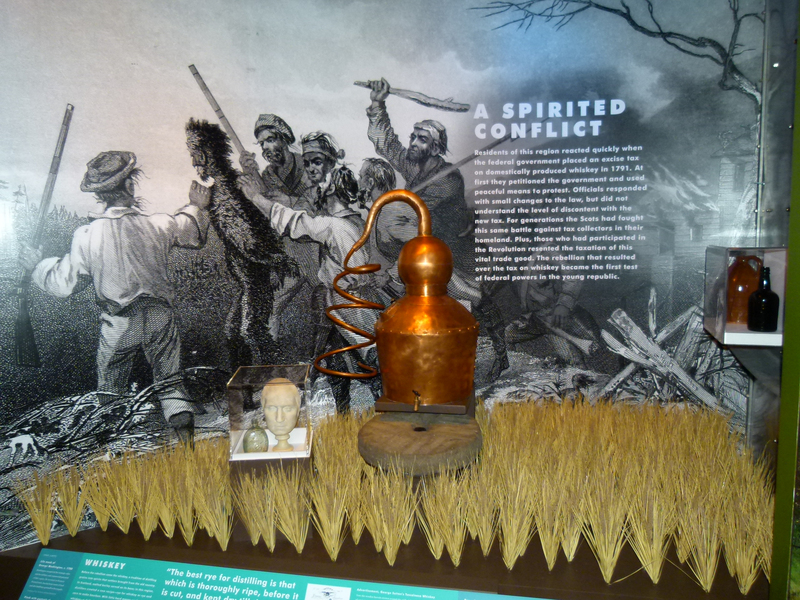 Whiskey was a big part of the Pittsburgh region's early economy and when a tax was placed upon the sale of it local distillers rebelled. Meriwhether Lewis of Lewis and Clark expedition fame had the boat built here for the trip which he later sailed to Louisville, Kentucky to meet William Clark. 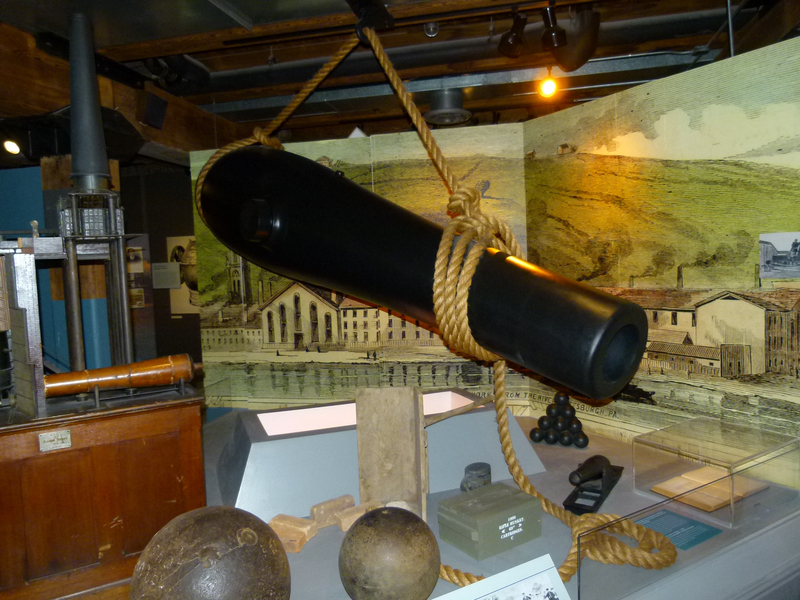 Many cannons and other military products were forged in Pittsburgh mills over the years. 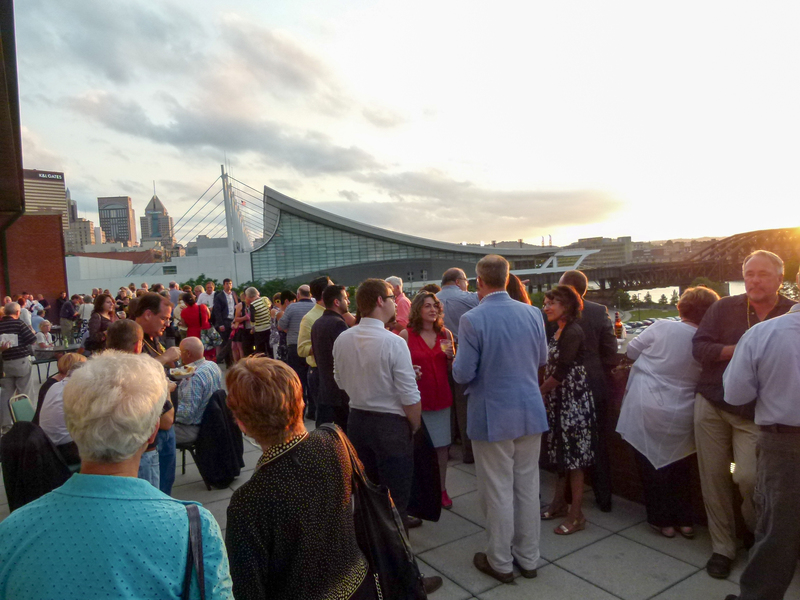 Attendees enjoying a Pittsburgh sunset on the fifth floor deck. 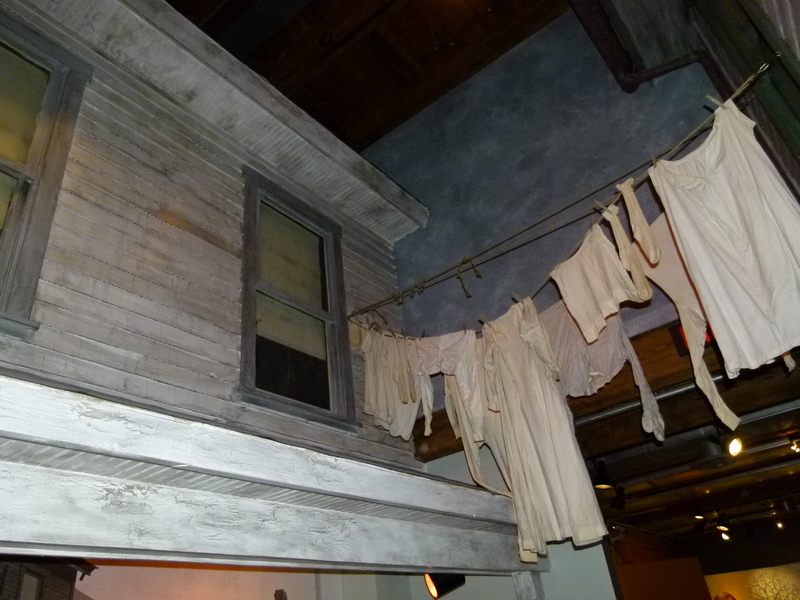 An accurate replication of a two story facade of a frame house building which were common in Pittsburgh's history, complete with the day's wash on the line. 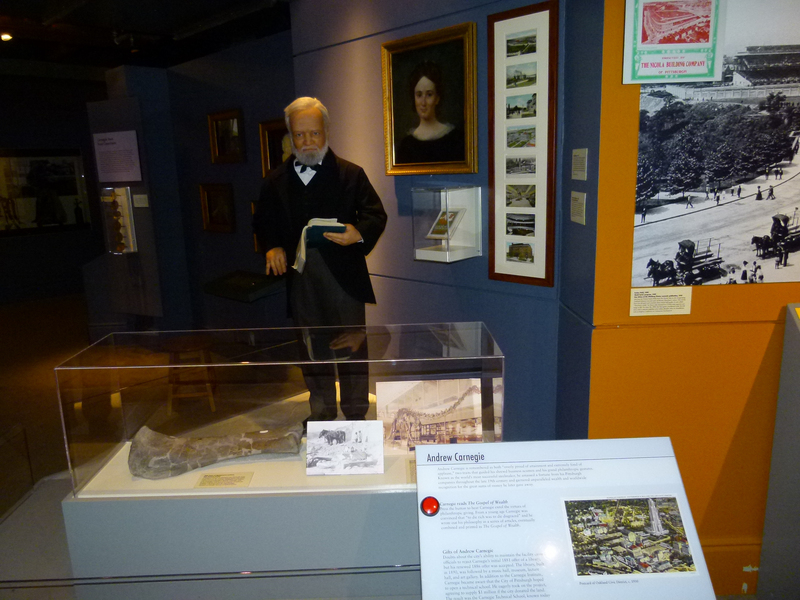 Pittsburgh industrialist Andrew Carnegie standing behind a dinosaur bone he funded the discovery of, and holding a book to signify his creation of Carnegie Free Libraries. 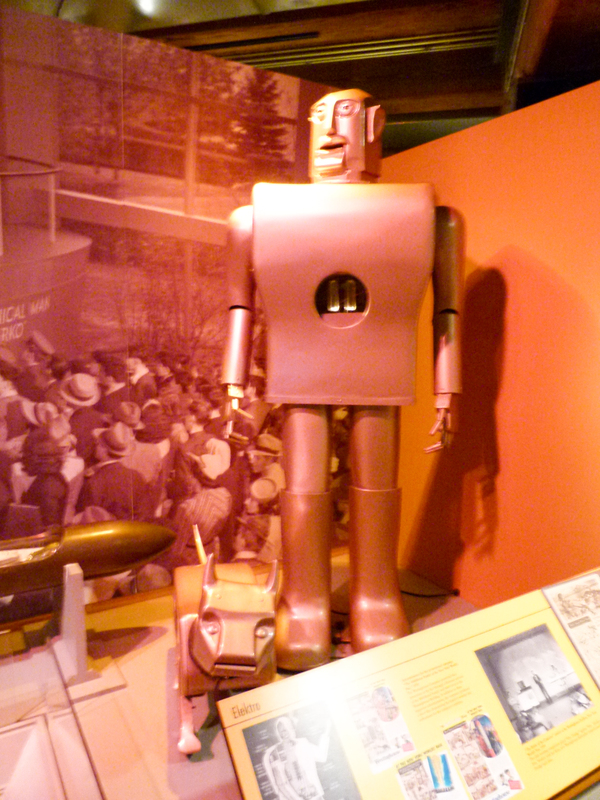 Elektro the robot and his dog Sparko were built by Westinghouse Corp. in 1937. They were both capable of performing simple tasks. 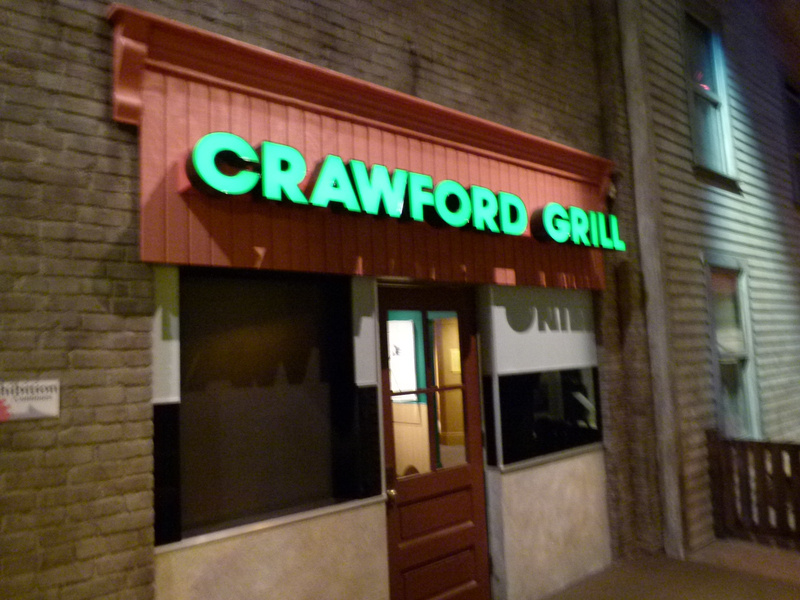 Inside the Crawford Grill facade you'll find a life-like figurine of Mary Joe Williams playing the piano. Williams was a top-notch jazz musician and composer. She wrote arrangements for Duke Ellington and Benny Goodman and was a friend and mentor to other famous jazz musicians. 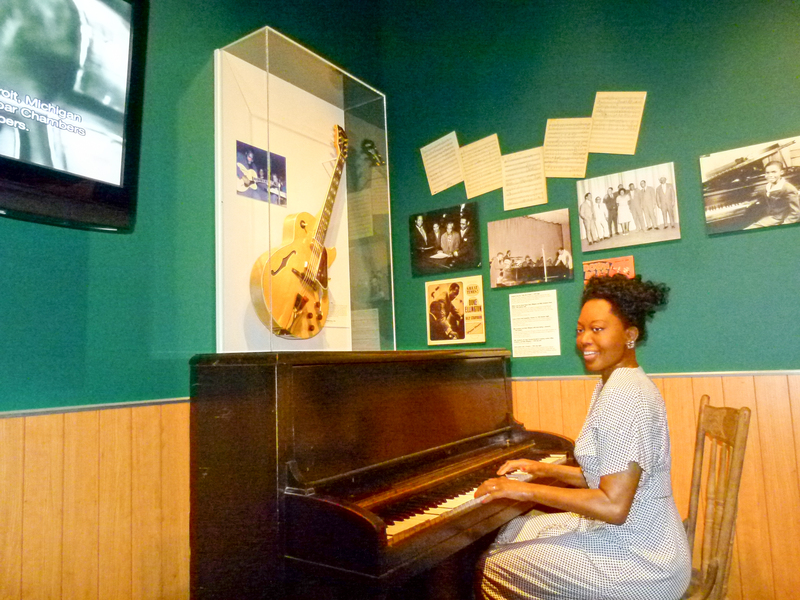 Above her hangs a guitar of, Hill District born and raised, George Benson the highly accomplished jazz guitarist. 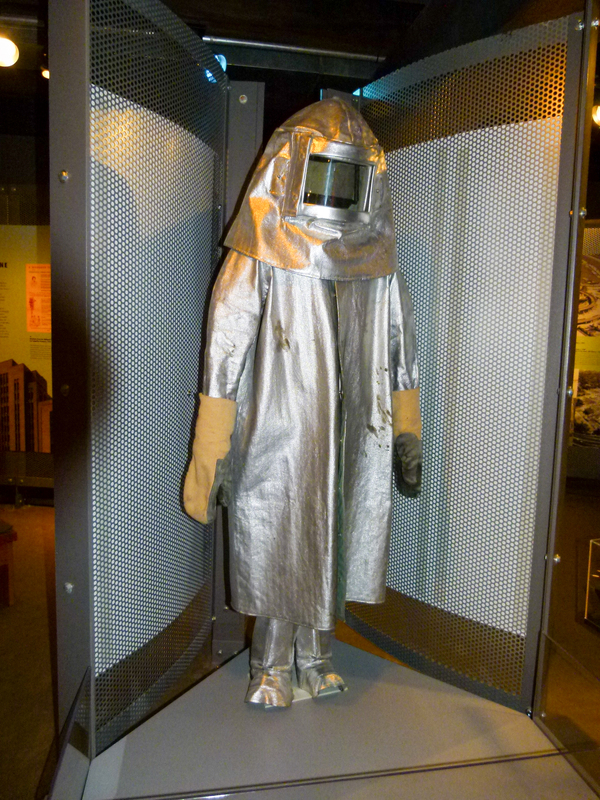 No this isn't an early NASA spacesuit, it's protective gear that steelworkers working close to the blast furnace wear. The exterior facade of the legendary Crawford Grill jazz club in Pittsburgh's Hill District. 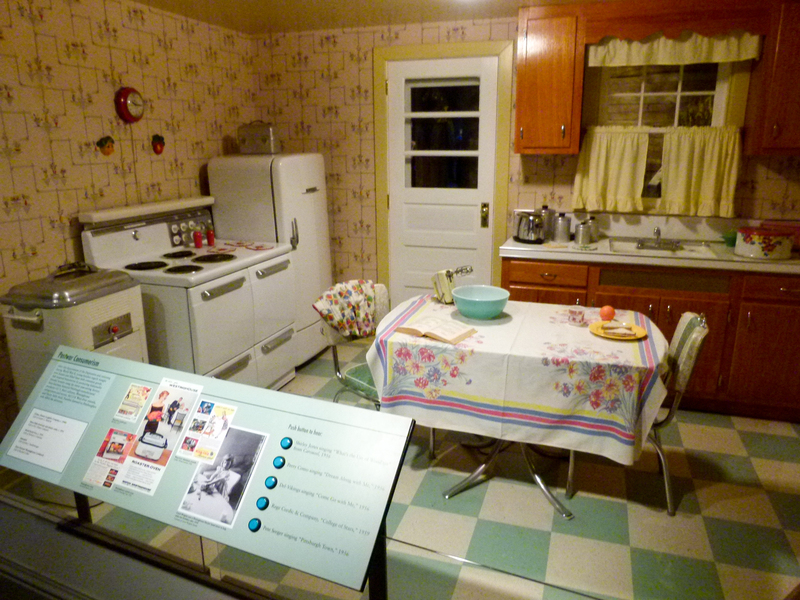 A Pittsburgh home of the 1950's with its "modern" appliances. Chipped ham sliders with assorted pickles. Price exclaiming the blues as the crowd enjoys the performance. 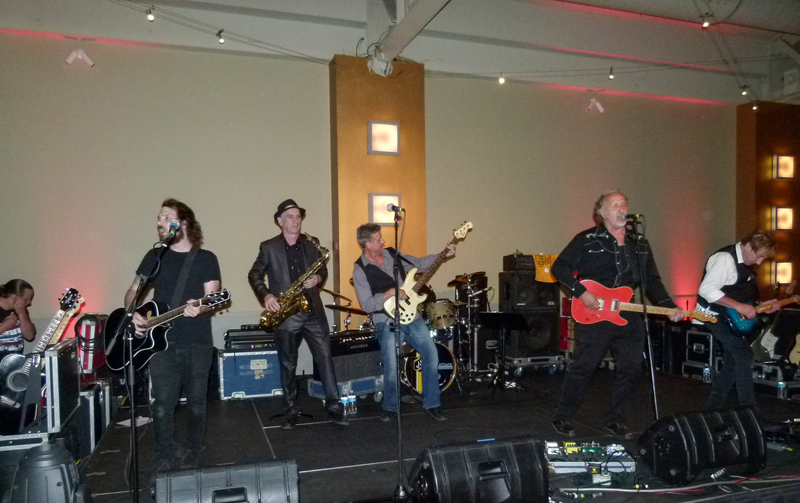 Joe Grushecky and The Houserockers bring the Bash to a rockin' climax. 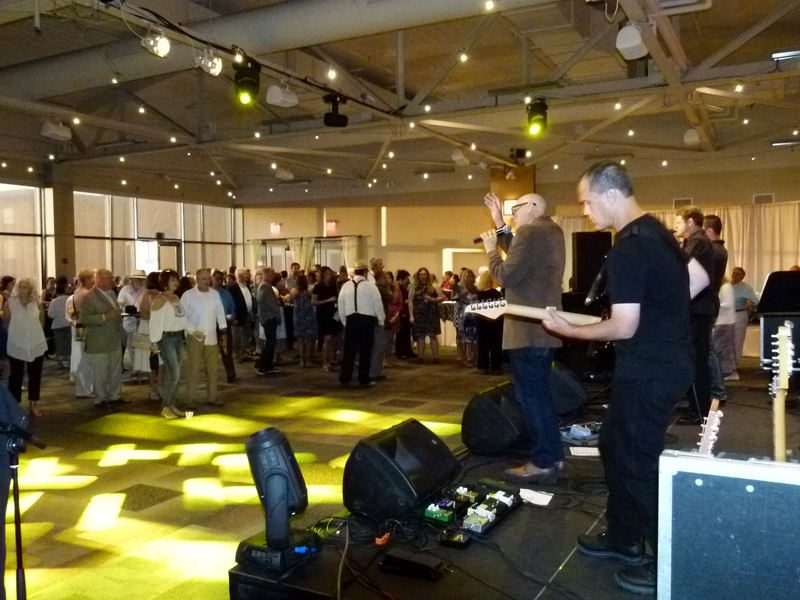 The crowd is enjoying Grushecky and The Houserockers' performance. 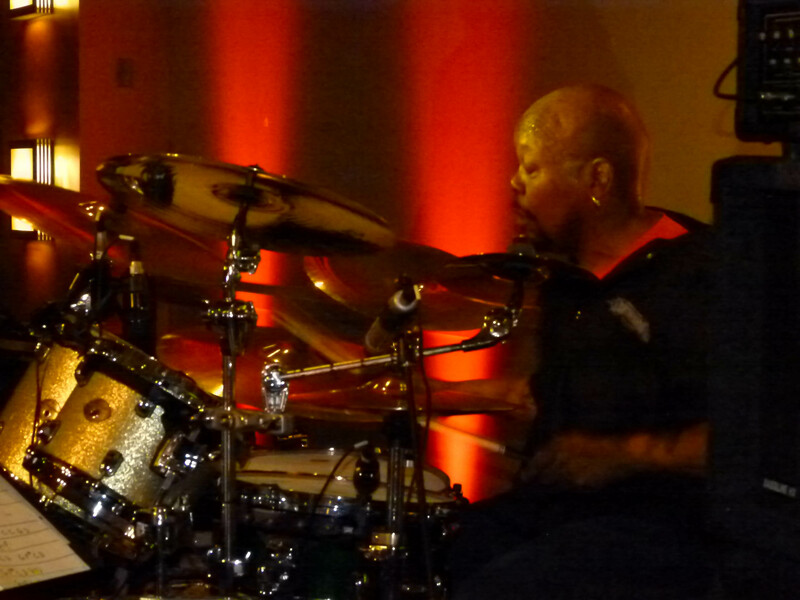 The Houserockers' drummer Jeffrey "Joffo" Simmons with his sticks a blazin'.